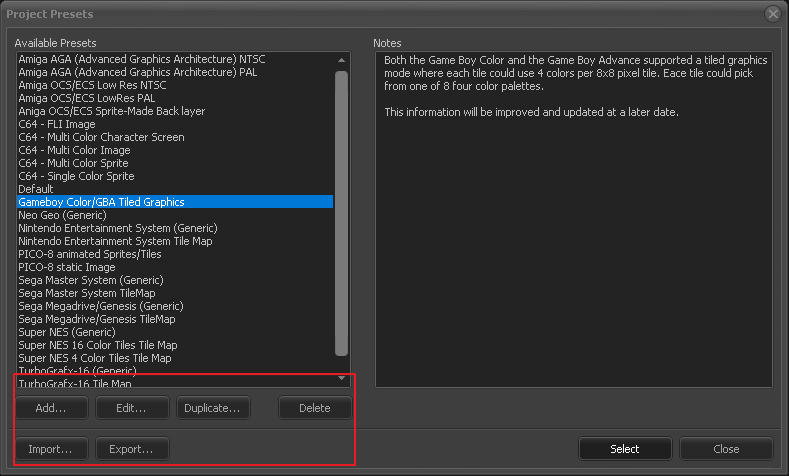 Hi, I been to trying to add a new color set into my types into the new project menu I have this nice GameBoy color set and what to make that my default setting for that project thank for your help have a good day. The text on the right hand side needs improvement. If you have some short information on that hardware gfx modes that would fit there then this would be great. ok so when i try to add the jpg to the pal its not working is there an way to make .pal files thanks for you time jan. Yes at this point you only can use palette files. 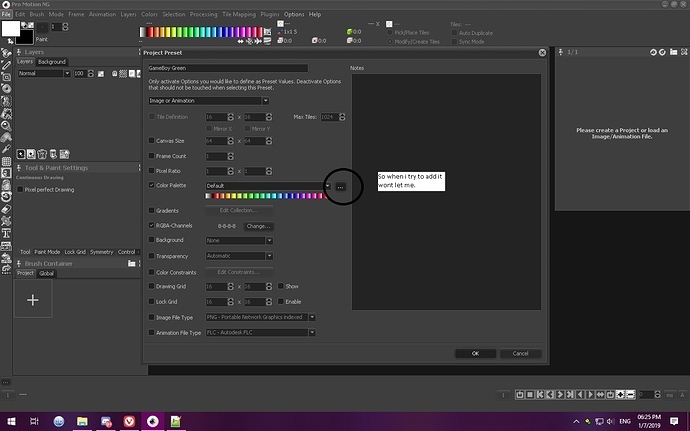 Please load the image separately and use menu Colors/Save Palette… to store the palette data into a palette file. Then you can use it in the project preset. OK that at the top of the color bar picker right ? 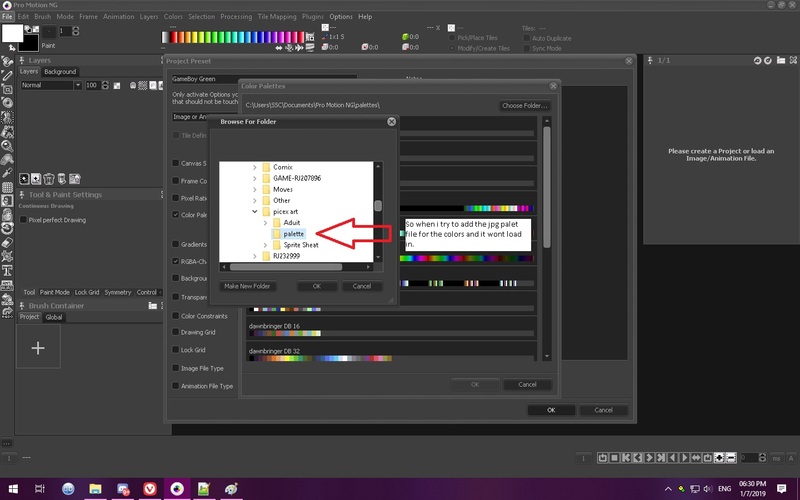 Yes, the menu “Colors” in the main menu of the application.